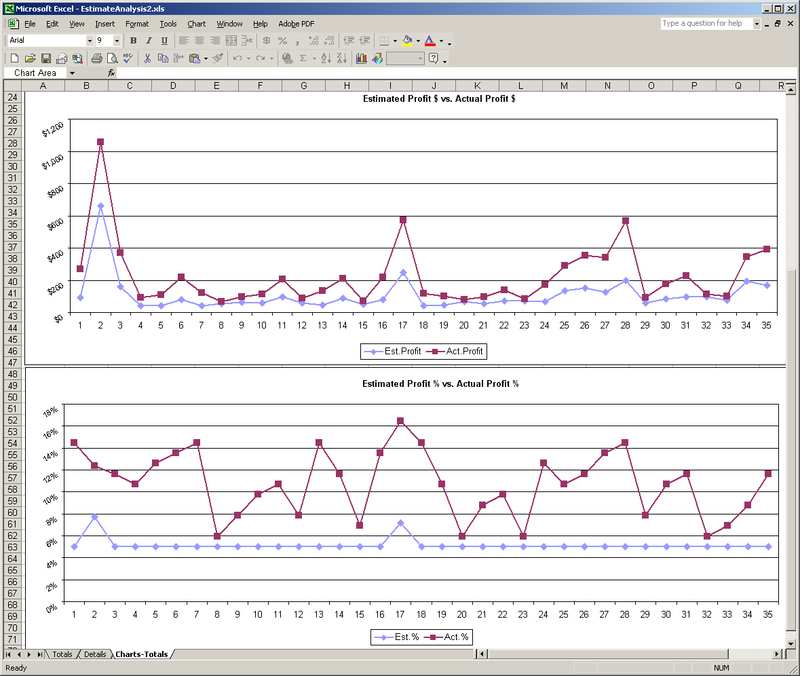 The Presstimator can export to Microsoft Excel a complete analysis of a Quote's estimated values compared with the job's actual production results. This detailed analysis will provide you with data and charts to see exactly how accurate your estimate was. This information is displayed in both graphical and numerical formats, utilizing separate Worksheets within Excel. This spreadsheet report is based on a completely customizable Excel template. The Profit Analysis report will calculate the actual profit/loss of a selected set of jobs by comparing the Actual Costs to your Selling Prices. This analysis will help you determine your actual profit/loss for each job, and to track your profits by a selected set of criteria (e.g., over time, for a particular customer, by salesman, etc.). 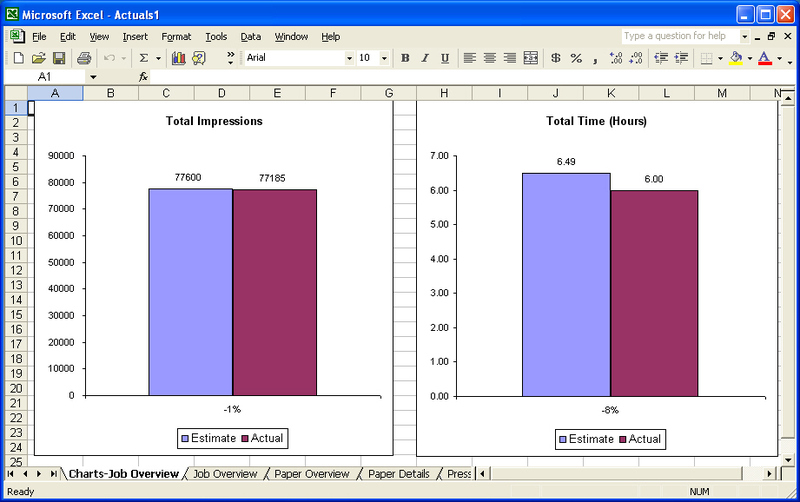 This analysis generates its report in a customizable Excel template. Charts are created to display the comparison of Actual Costs to Selling Price for the selected set of Jobs/Quotes (% Profit for each Job, Cost vs. Selling Price bar graph for each Job, and Overall Profit: Total Cost vs. Total Selling Price for all Jobs combined).